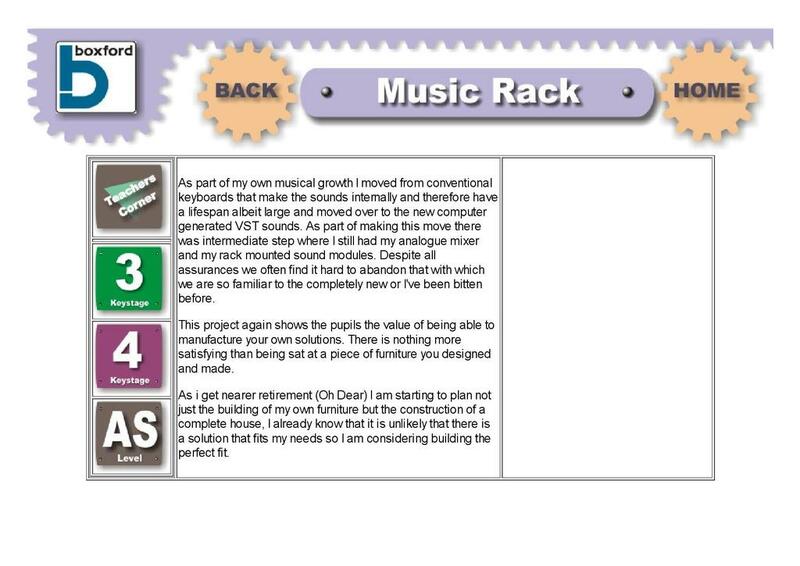 This resource from Boxford provides the information to manufacture of a rack to hold a music system. Exemplar CAD files are presented to aid manufacture of the product using CNC machines and pictures of the finished product are shown. Curriculum links include the use of CAD/CAM in the designing and making process.